It hasn’t always been free to visit. In the 1800s, the Causeway was fenced off by landowners who saw its potential as a tourist attraction and so an easy way to make money but after a long drawn out case the High Court ruled that the public had an ‘ancient right of way’ to visit the Causeway and view the stones. Now the National Trust wants to turn back the clock. They haven’t exactly built a fence but they crudely misled visitors into paying the extortionate parking and visitor centre admission charge. 1 Walk there. This might seem rather obvious but as a word of warning it is about a mile walk and there are no footpaths. 2 Use the Giant’s Causeway and Bushmills light railway. It is a lot cheaper and you get a train ride there and back. It only operates in the Summer however. 3 Drive to the Giant’s Causeway and park in the railway car park. It is only £6. 4 Stay overnight at the Causeway Hotel and park for free. If not staying overnight park up and have a cup of coffee and become a customer and get entitlement to free parking. 5 Use the National Trust Car Park but only buy one ticket to the visitor centre, a good solution if there is a family of visitors or if there are 4 adults. 6 Use the National Trust car park and just ignore the visitor centre completely. National Trust say they may clamp cars when visitors haven’t paid but this is most unlikely. Don’t worry about the clamped car close to the entrance, this belongs to a member of staff and is only there to try and frighten people. 7 Walk from the car park to the Causeway because if you take the bus then this costs another £1 each way. This entry was posted in Beaches, Europe, History, Ireland, Natural Environment, Travel, United Kingdom, World Heritage and tagged Antrim Coast, Belfast, Discover Ireland, Giant's Causeway, Giant's Causeway Rip Off, National Trust Giant's Causeway, Northern Ireland, Simon reeve, Ulster. Bookmark the permalink. Honestly Sue, I wouldn’t pay to use the visitor centre even if I was desperate to use the loo. I should add that tip – have a pee before you visit! Yes that is a great tip actually. I find it is a tip so often left out in guide books and one so necessary! How sneaky putting a clamped car close to the entrance!! And, no kidding, it was a member of staff who told us the secret! I will pass that story round – it is so bad it’s almost funny!! These are great tips and it’s a place I’ve wanted to see for a long time. Great to get an insider’s perspective. Pee before I go, and walk there! I would rather get tips from you than from any brochure. It only runs in the summer though. I would love to see the profit and loss account for Giant’s Causeway. It is not like a stately home, there is nothing to maintain! It is well worth a visit but I wouldn’t put it in my my top ten! Hi Andrew, Where can you suggest walking from and we plan to see Dunluce Castle, Giants Causeway and Carrick a Rede. We are visiting in December. In December I would be inclined to simply risk parking in the NT car park and just walking straight through to the Causeway, I can’t imagine they would enforce parking charges at that time of the year. Alternatively park at the hotel next door, go inside and have a cup of tea and they will let you leave your car there without charge. I hope you enjoy it! Hi Andrew should i pay the visitor centre fee or should i walk around it, if so from where should I walk around from, I am going to park in the Bushmills Railway and be on foot. Unless you really want to go the visitor centre just walk straight through the car park and down to the Causeway. It is completely free. Hope you enjoy it! Yep just went there will be blogging about my journey. Thank you for the help. Hi Andrew, I plan on visiting the Gateway along with five motorcyclist, so six in total. I don’t suppose we can drive all the way up, but is there a place for us to park our motorbikes? We are just passing and don’t even have a lot of time. We will be there in June. My advice would be to go the hotel for a cup of tea and park the bikes there FOC. Then I would walk to the FREE Causeway and bypass the visitor centre. I hope this helps. I am glad to learn that I can visit this spectacular place on a budget, Andrew! Just be careful not to go into the visitor centre! 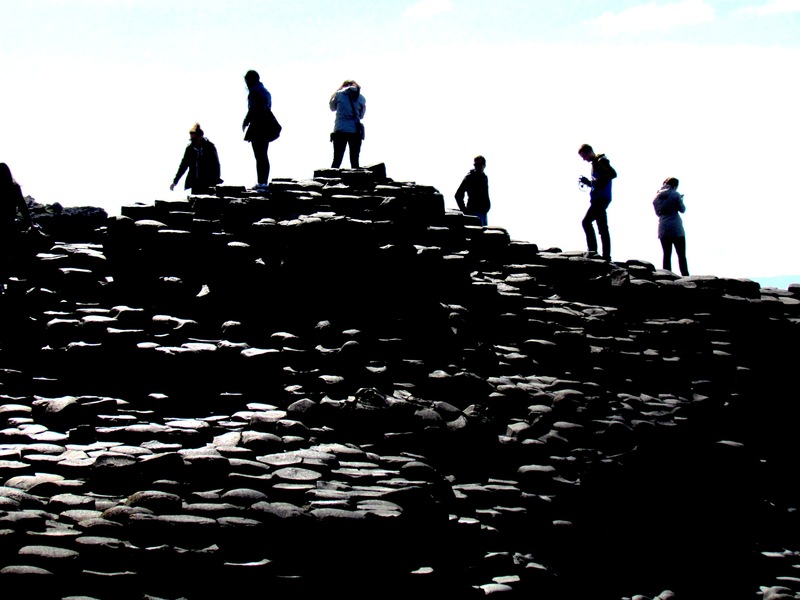 We plan to visit the Giant’s Causeway next year. Thanks for the tips! There are some wonderful places to visit nearby.